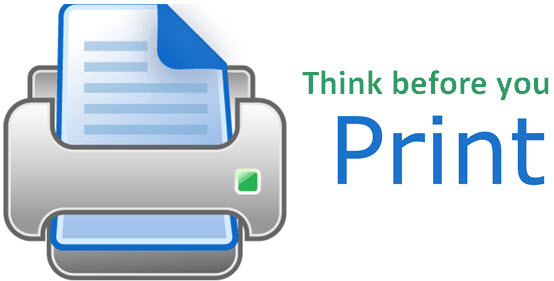 Printers are available for student use in the Library or Information Commons. You can print directly from your personal laptop or from any of the Public Computers available in the Library or Information Commons. Once the Student Printer and PaperCut software are installed, you can send print jobs to the student printers from your laptop when it is connected to the ACPHS Secure Wireless network. If you have any problems with or questions about installing the system on your laptop contact the IT Services Support Center and Help Desk. Whether you are using your personal laptop or a public computer you will need select the printer called "ACPHS_LIBRARY on print03". Before you send a print job through PaperCut make sure all settings are correct as it can affect the cost of the print job (i.e. Black & White vs. Color and Single vs. Double-sided). When you send a print job, PaperCut will ask for your ACPHS Username and Password. After you send a print job it will be held in the print queue until you release it at a Student Printer. From the printer touch pad select ID Number, enter your ACPHS ID# and select Login. To view your print job before printing, select Print Release and tap on a print job to view the number of pages and the cost. After confirming that the print job and cost are correct, select Print. ​If you have any problems with or questions releasing print jobs contact the IT Services Support Center and Help Desk. Fall and Spring Semesters: At the beginning of each semester, students receive a $12.50 credit on the PaperCut Student Printing System to be used during the Fall and Spring Semester. Students who use up their allotted $12.50 before the end of a semester can continue to print and will billed by Student Accounts on a monthly basis. Printing credits have no dollar value other than for printing and leftover funds will not carry over to the next semester. NOTE: P4 Students will receive their Fall printing credit at the start of Module A and their Spring printing credit at the start of Module F.
Summer Sessions: Students can print as needed and will be billed monthly for any printing completed outside of the Fall and Sprng Semesters. Note: When your print job has a combination of both color and black & white pages, the system will charge your account accordingly. Students may photocopy in both black & white and color using the Student Printers in either the Library or Information Commons. The costs for photocopying are the same as for printing. Scanning at no charge may be done at the Student Printers in Albany and Vermont. Albany has the additional option to scan from the desktop scanner attached to one of the public work stations. Faxes may be sent to and from the Library and the Information Commons. To send a document to a fax number within the United States please ask a staff member for assistance. Faxing services to international numbers is not available. In Vermont, contact staff at the Services Desk in the Information Commons on fax options in the administrative area. Desktop computers are available for student use in the Library & Information Commons. In addition, Albany College of Pharmacy and Health Sciences students who are registered library patrons in good standing may check out a tablet (iPad) and/or peripherals (i.e. power cords, Ethernet cords, computer mice etc.) from the Library. Students with excessive outstanding fines may not be eligible to borrow library materials. iPads may be checked out by Albany College of Pharmacy and Health Sciences faculty, staff, and students with a current ACPHS ID card, who maintain a valid library account in good standing. Longterm Loan iPads can be borrowed for 4 days. The loan period for iPads on Reserve is 3 hours. All iPads must be returned directly to a library representative at the circulation desk. Network cables, power supplies, headphones and mice are also available for loan. The loan period for these items is 6 hours (no renewals). Tablets and peripherals are to be returned on time and intact to the User Services Desk. The Library is not responsible for any information left on an tablet once it is returned, or for any loss or damage to a user's files during the loan period. Overdue fines are automatically charged to your library account. Overdue fines of $10.00 or more will prevent students from borrowing any additional library materials. Students are responsible for the full replacement cost if any items charged out to them are lost and the full repair cost if any items are damaged. Damage or loss charges will be applied to the student's College bill. You are responsible for the items charged out to you. Items should not be left unattended or shared at any time. Any loss or damage should be reported to a library staff member immediately. Tablets are delicate electronic devices and require certain care to ensure proper operation. Additional policies regarding the proper use of ACPHS computing devices and networks can be found in the Albany College of Pharmacy and Health Sciences Computer Policy which is located in the Albany College of Pharmacy and Health Sciences Student Handbook.